If you purchase any inventory from online or brick-and-mortar stores, this post is for you. See, with your competition increasing (Amazon and eBay sellers buying the exact same deals as you, online and in-stores), the 'immediate reflex' is for all those sellers (including you) to drop prices. Follow suit and you'll cut into your profits. So IF you have to drop your prices, why not have an advantage that many of them don't have? By 'advantage', I mean make your inventory costs LOWER than theirs (this leaves you with a higher profit margin, you dig? ), so you can be more competitive if/when you lower your selling prices. So this post shows you how I achieve just that. Why would you want to know? The tactics below with a '*' can also work for you when you're buying your business supplies (office materials, computers, smartphone, printers, furniture, phones, etc.) for your own use, too. This is by far my FAVORITE tactic, and I do it online and in stores. I do this right after major holidays (e.g. Christmas, Easter) and major retail seasons (e.g. gardening products sold during spring/summer). See, retailers go absolutely bonkers liquidating their leftover merchandise. The reason is simple: consumers don't want the stuff - they've completely lost interest. More importantly, the bulk of resellers like you and me don't want to spend the money and store the merch for 9 months until the same season or holiday rolls around again. So that virtually eliminates my competition! I remedy the storage problem by using a 1 or 2 closets and rooms in my house as well as pre-fulfillment centers who can take and store my merchandise - and then send it to Amazon for me at the right time 'next year'. An example: both online and in stores you'll find major name brand string lights at (say) 50 to 90% right after Christmas (or even the days leading up to it). Christmas lights are an Amazon staple that buyers buy in droves. For you online arbitrage folks, use my free list of online stores and check their clearance pages right around every major holiday: Christmas, Easter Halloween, Valentine's Day, etc. You’d be insane not to take advantage of this tactic. See, many consumers trade in their unwanted store gift cards for cash. The sites that take their gift cards turn around and sell them at a profit (but the purchase price, for you, is still significantly below the retail value of the card). Yes, there are websites that have the singular purpose of selling you gift cards at reduced rates. The sites are free to use and many of them offer free shipping (or instant delivery for 'online only' gift cards). Depending on availability, you can get in-store cards, online-only cards, and cards that are valid for both online and in-store. I've seen gift card discounts as low as 2% off, and as high as 20% off, their face value). If you want to use this tactic, I highly suggest you buy your cards long before any major 'shopping seasons'. That's because available discounts can sharply decrease as (say) certain shopping seasons draw near. For instance, the ripe time to buy ToysRus gift cards would NOT be September through December (that's when everyone wants discounted gift cards for Christmas, to buy toys). Another example: the ripe time to buy (say) HomeDepot or Lowes cards would NOT be April through August (That's when everyone wants discounted gift cards to buy lawn/home maintenance and repair supplies). Remember, signing up to gift card sites is free (you're only paying for the gift card(s) when you buy them.) Online gift cards are usually delivered automatically, physical gift cards are mailed to you, of course. A helpful hint with Raise.com – If a certain gift card is out of stock on Raise.com, Raise will give you the option of receiving an alert when the card(s) are back in stock, by entering your email. I highly suggest you do that AND when you receive the email alert, click through to check out the deal because the first-movers can grab the cards with the highest discount. The retail apocalypse is here for 2018. Major chain stores (and even independents) are closing left and right, particularly Sears, Kmart, JCPenney and Macy's stores. This means huge opportunities to grab great merchandise for big discounts. Unsure what stores near you are closing? First do a google search for (say) "Sears store closings" to find a list of stores possibly near you. Also: You can get an email alert when news stories are posted about store closings in your state. Simply follow this tutorial. When you're doing Step #2 in the tutorial, use "store closing NY" for the topic. (Remove the quotes when you type it. Also, I used NY as an example. Use the abbreviation for your state instead of NY). Then (still following Step 3) , choose "News" for the 'Source' section, and select your country for the 'region' section. It's not perfect, but Google will send you an email any time there's a news story regarding a store closing in your state. Post a message on Facebook for all your friends to see, asking them if they have gift cards they would like to exchange for cash. For instance, if one of your friends has downsized their home, they may no longer need the IKEA gift card they have in a drawer. Alternately, parents whose kids recently entered Kindergarten may no longer need their 'BabiesRUs' gift cards. Rewards programs are free cash, just waiting to hop into your pocket, and a lot of stores have them! The rewards go up exponentially – spend more, get even more. Rewards vary from gift cards, to discounts, to free products, and more. Very frequently, Kohl's will give you $10 in Kohl's Cash (credit towards your online or in-store Kohl's purchase) for every $50 you spend. No membership sign-up or credit card required. More info on Kohl's cash is here: bit.ly/kohlscash . When I was shopping for back-to-school merchandise to resell, I would use my earned Kohl's cash to buy more inventory (e.g., clearance toys or more back-to-school products), which effectively brought all my inventory purchases prices down an extra 15% or so. To find out when Kohl's cash promotions occur (they're quite frequent), check here: bit.ly/kcpromodates. Bonus Tip: Are you always forgetting, losing, or fumbling with your various store loyalty cards? Download the FREE Key Ring app keyringapp.com for your smart phone. The app keeps all your card info for your rewards programs, and even gives notifications when special offers arrive! I've signed up for email lists at any store or online retailer that I normally source from, and then wait for the deals to roll in. This is a HUGE help with DisneyStore items. When DisneyStore.com items go on sale, they'll send out an email early morning (generally around 6A to 9A EST New York Time). Most retailers with email lists make offers that can’t be found outside of those emails, so this one’s important for anyone serious about their online arbitrage. There are websites that offer cash back to you on the shopping you do. All you have to do is sign up for free on their websites, log-in, and start searching for your desired store there. When you see your desired store and their accompanying cash-back offer, all you have to do is click on the link to the store. Then you're shopping like you normally do, as you are on the store's regular site. (Your visits are harmlessly tracked because you entered the store site through the free cash-back website). These are an online arbitrage seller’s dream come true. You can source your products the same way you normally would, but get straight-up cash, usually paid to you once every 3 months or so (usually via Paypal or a check paid to you). 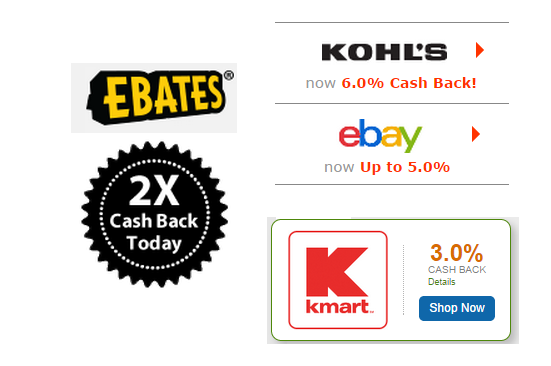 Look at the cash back I've been receiving from eBates: screencast.com/t/nTDc4wQlS . Again, at first blush this doesn't seem like a lot of savings, but 'stack' this effort with (say) Tactic #3 above, and the savings are quite substantial. There are free web sites designed to track great deals for you in specific stores. This can be critical for you if you want to snap up highly-discounted merchandise. Be sure you sign up for their free email or text alerts while you're checking on the sites, as well as downloading their free smartphone apps (if they offer it). IheartTheMart.com – This guy tracks Walmart in-store deals (a lot of them are 'consumables' like shampoo, razors, food, etc.) 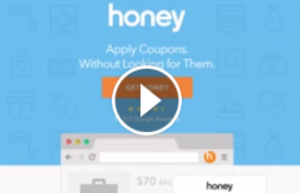 and alerts you to the double coupons available, e.g. 1 walmart-issued coupon, and 1 sunday paper coupon, for the same product. allthingstarget.com - This site alerts you to available Target.com and in-store deals, as well as coupon-match-ups and a mark-down calendar. 9. Not paying Sales Tax/Get Refunded for Sales Tax Paid. This may sound obvious to you, but there are several folks who forget this. 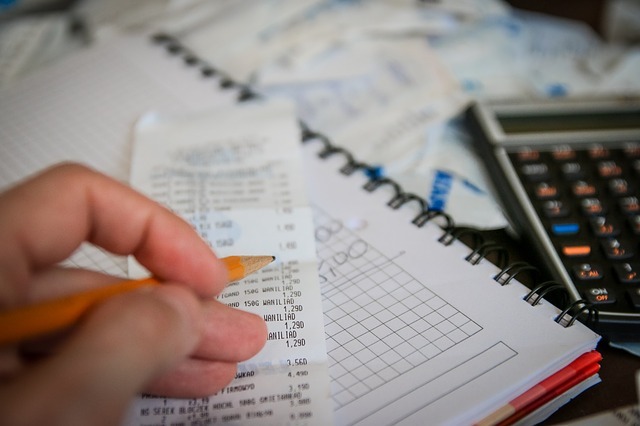 As a business, you can - when it complies with a store's policy - avoid paying sales tax (or getting reimbursed for the sales tax you pay) when you buy products online and in-stores for reselling. These purchases are called 'Tax-Exempt"
The procedures and laws for buying inventory tax-exempt vary state by state, but generally if you're a business, you can get a certificate from your state that verifies your eligibility to be tax exempt (more on that in a moment). In many cases, you can get that certificate online instantly, provided you're have a true 'business' (corporation or LLC, et. al.) in the state. Not all online/retail stores accept tax-exempt purchases for resellers. Kohl's, for example, does not, nor does Target. That does not mean those stores will not let you buy multiple quantities. It just means they won't let you make your purchase tax-exempt. A year or two ago some Amazon sellers were spreading horror stories how they got stopped at checkout and were accused of being resellers. That problem has largely disappeared. 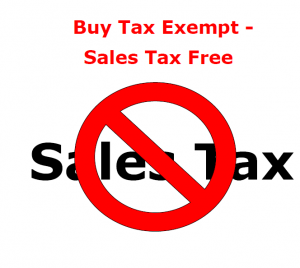 Your procedure for getting authorized to not pay sales tax will vary from state to state. To get info on what you can do, go to Google.com and type (without the quotes): “sales tax exemption procedure [enter your state's name here]”. For example, if you're in Ohio, type (without the quotes): “sales tax exemption procedure Ohio”. 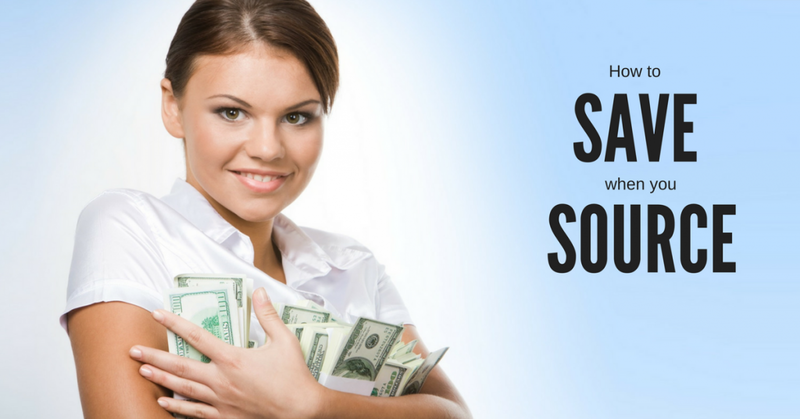 Sales tax adds up, so your refunds/savings are substantial. I buy at least $15,000 worth of inventory in retail stores in 1 year. Thus, the sales tax I would otherwise pay at the register would be over $1200! See how that adds up quick? I TRULY hope this post helps you. Please post a comment below, and good luck! Wow Jordan you have no idea how refreshing your blog posts and informatipnal shares are for me. You are the definition of what is truly good and kind in the world today. During a time when it seems like humanity is stripped of any kind of outwardly caring habits or efforts im genuinely grateful to bare witness to people like yourself whom find joy and comfort in purely trying to offer a straight forward helping hand to any and everyone who might want or need it. Heres to you, thank god for your kind heart, genuine soul and ability to set an example for others as to what it looks and feels like to simply love and care about your fellow man without any expectations in regards to what your efforts to help others might reep for you in exchange. God Bless you Jordan… Heaven will be your loving and gorilful equal kindom next to our creator himself one day. I just pray that i may be fortunate enough to one day earn my place some where beside you in the eternal kingdom when the time comes. God willing it wont transpire for either you or i anytime in the near future… (laughs sorry i didn’t mean to go so deep into my rambling) but honestly keep up the awesome inspirational work. You’ve definitely got my vote and undivided support. If you ever need one, you’ve got a friend in me. I have checked major gift cards reselling websites and they either block international traffic or openly refuse to accept international payments. Which of gift cards reselling websites are you aware of Jordan that conduct transactions with international sellers? As always Jordan your information is spot on and trustworthy. Thank you again. 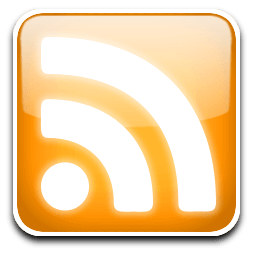 Great stuff as all other articles on your site!! LOL Kevin thanks for the nice dose of humor (I needed a chuckle today). Thank you so much for sharing these valuable information. I have been buying gift cards and purchasing from store to have shipped to customer as you suggest here. My question is how do you do account for such a transaction as one large card may cover several purchases, and there is no way to track. I’d love if you could recommend an accountant. Does raise.com work for non US buyers as well? You should contact Raise to see if they sell to non-U.S. consumers. If they do, you can buy Raise gift cards to buy products online from U.S.-based stores but you would need a 3rd-party fulfillment center that will accept the goods for you, to process for Amazon’s FBA Warehouses (some 3rd party fulfillment centers will do this for a fee). Thank you for all of this valuable information Jordan! I am truly enjoying your blog and all of the “free” information you are graciously providing. As a newbie to the RA/OA search, you are truly paying it forward. I appreciate all that you are doing. Thank you so much for that feedback Martha. I appreciate YOU! Wonderful!many thanks Jordan for the wonderful data.l must admit that l am learning additional for certain.But l asked a question the last time l blogged but it looks prefer it hasn’t been answered nonetheless.l need additional data on on-line transactions, how efficient and reliable are they? What a goldmine those gift card websites are. I will very must plan my shopping currently. Thanks for the information. Hey Jordan, did I see you in Zach and Nat’s facebook group? I found you by googling “online arbitrage sources”. Anyway, great post! I am still not sure how to get the tax exempt certificate. I found the form to fill out, but on first line is asking “name of purchaser as found on permit” Do I need a permit, first? Check cashreporter.com or cashbackaholic.com to see who offers the most cash back currently. Check giftcardwiki or giftcardgranny to see which gift card resellers offer the biggest discounts currently. Another place to get discounted gift cards is with credit card rewards. Frequently you can get 20-25% off gift cards for some stores. As a ficticious company I can claim being tax-exempt? I’m not sure what you’re asking but I definitely wouldn’t recommend being a ‘ficitious’ company before anything else. Thank you Jordan for a great post! Especially the gift card tactics! Hi, Love the post how would one get a sales tax exemption at the disneystore.com?? Wonderful!thank you Jordan for the wonderful information.l must admit that l am learning more for sure.However l asked a question the last time l blogged but it seems like it hasn’t been answered yet.l need more information on online transactions, how efficient and reliable are they? I’m in California. The law here says I could get a Seller’s permit and be tax-exempted if I engage in business in California. Does this mean I could buy things from any online sites and off lines stores and be tax-exempted as long as I’m doing the purchases/the business from California? I don’t know anything about sales tax laws in California . Please use the free or paid resources delineated in the above blog post r ask a local accountant. What a goldmine those gift card websites are. I will really have to plan my shopping now. Thanks for the info. You mention that you can get refunded for sales tax at Kohl’s but I was under the impression that you could not. Do you have personal experience with Kohl’s and could you share how you did so? Daniel – that was my mistake, you are correct. Kohl’s does not allow tax exempt purchases for resellers. Thank you so very much for all your helpful information. I just can’t seem to get enough of it. I have joined the FindSpotter VIP membership and I am going crazy with it. I am going to strictly stay with online. I can buy tons of stuff fast! I have been using Ebates, FatWallet, but I really have to up my game. Plus I now can add exempt sales tax, even though I can’t use it online. That’s ok, I am learning all your other valuable tricks to make up for it. Keep these great posts coming!! I don’t miss a single one. Cathy – Awesome to see your enthusiasm here! Keep it going! Thank you soo much Jordon . This post is really really helpful . Yasmine I really don’t know how that would work for a non-US.-based seller, sorry. Great, do-able advice! Thank you. Thank you for this it help out more than you know. P.S. I was just in Levittown grew up there. money for the information you continue to offer for FREE! Very Nice information. I didn’t know any of the gift card ideas. Thank you Jordan. Thank you for again providing valuable information for sellers and in such a concise and informative manner. Thank you, Lois, the pleasure is all mine! AMAZING! Thank you Jordan for this priceless information. 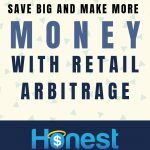 EXCELLENT JOB putting this together all on one Posting, much easier way for New Sellers to read a grasp the information… After spending my first 9 months doing mostly local Arbitrgage and concentrating on the Book Category, going into the 4th Quarter I am focusing on Retail Arbitrage and any way to produce more Profits is greatly wanted and needed!!! Not forgetting local Toys and Games!!! Great to hear that you’re blowing up your biz to new heights, Shawn. Thanks for posting!